Adnan Januzaj was restricted to substitute appearances in the Bundesliga while on loan at Dortmund. Manchester United have announced the cancellation of Adnan Januzaj’s loan deal with Borussia Dortmund. 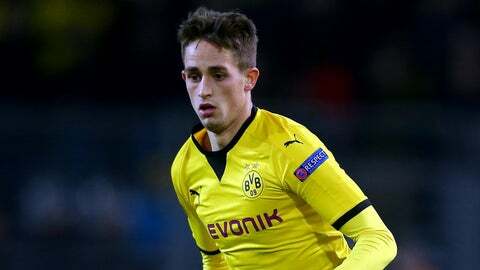 United sent Januzaj on a season-long loan to Dortmund in August to gain experience, but the 20-year-old has barely played for the German club. The Belgium forward has started just three matches – all in the Europa League – and his only playing time in the Bundesliga came off the bench. There was no release clause inserted into Januzaj’s loan contract when it was signed, but both clubs have agreed that it is in their best interests to terminate the deal. 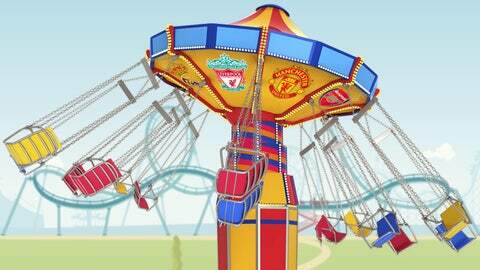 The relevant paperwork was exchanged on Thursday and the loan agreement was annulled. A United statement read: "Borussia Dortmund has agreed to cancel the loan agreement for Adnan Januzaj. Adnan will rejoin the first-team squad immediately. "He has returned to Manchester in order to clarify the details." Januzaj is understood to have stayed in Manchester over the Christmas period and was in the directors’ box for United’s home game against Chelsea on December 28. United have until 5pm on Friday to register him for Saturday’s FA Cup third-round tie against Sheffield United, although Louis van Gaal may decide to ease the forward back into the first team set-up after a couple of games for the under-21 side instead. Januzaj has not played since Dortmund’s 1-0 defeat to PAOK Salonika on December 10. United will not be able to loan the Belgian out again as he has already played for the Red Devils this year and FIFA rules state players are not allowed to play for more than two clubs per season. Van Gaal had warned Januzaj last year he was taking a risk by joining Dortmund, rather than a lower-profile club where he would have been guaranteed to play more. ”In a club like Borussia Dortmund, all the players there are also of a certain level and I said in advance ‘that’s a big risk for you because you have to compete with other players of a higher level’ and that is not so easy,” the United manager said in November.